The importance of basic accountancy skills is not to be sniffed at. From looking for the best deals in the supermarket -looking at the price per 100g or kg- or working out how your monthly income will break down into rent/mortgage, household utility bills, travel expenses, food and extra-curricular. Managing bills and knowing whether you are getting the best deals and interest rates is vital for someone who wants to be financially independent and not fall for any of the scams and bad deals that are often flogged at us. 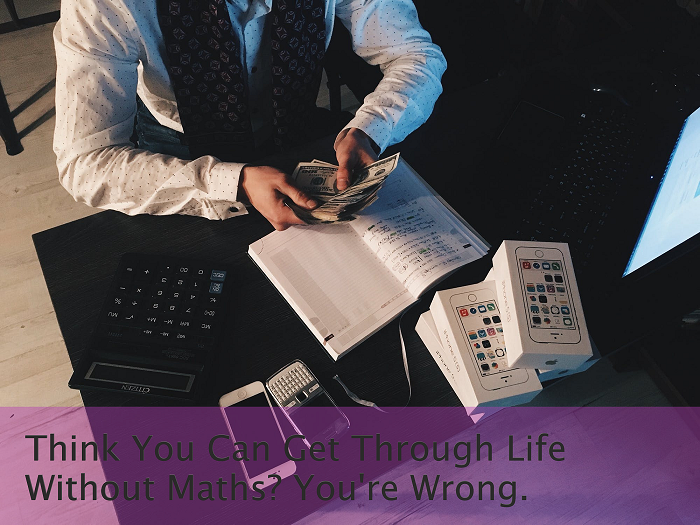 Maths isn’t just for those who visualise themselves as future Accountants, Tax Accountant or Credit Controller. It can be a beneficial skill should you begin your own business, deal with tax returns, adding/removing VAT from purchases. Or working out how much you’ll get off your petrol with a 10p off every litre voucher. It’s the simple things, but they will make your life that much easier.